Thank you so much to everyone who has already join our team for the Barbara Ireland Walk for Breast Cancer to support the Cancer Center of Santa Barbara! As of Feb 22, 5pm, we currently have 20 members signed up and we’ve raised $1950! Our goal is 25 participants, and $7500 raised, so we have a ways to go – and YOU can help us get there! There is still time to join us! Sign up by clicking here! The walk is on March 12, festivities begin at 8am, the walkers and runners should hit the road at 8:30am, and you choose if you’ll do a 5k, 10k or 15k. I really hope that I’ll see you there, but even if you can’t make it, you can register and I’ll pick up your shirt and goody bag for you. Once you’ve registered, post your fundraising page to social media and email your friends and relatives – let them know what you’re doing and why. Every little bit helps, small donations add up fast! Remember, all participants in our team will get a $25 credit in their Fitness with Rachel account on the day of the walk. Those who raise $100 or more will be entered to win 6 months of unlimited Zumba classes (a $240 value) and the top fundraiser will win a golden ticket, letting them into any Fitness with Rachel class or session for the remainder of 2016 for FREE! That’s potentially worth over $1500! SAVE THE DATE! 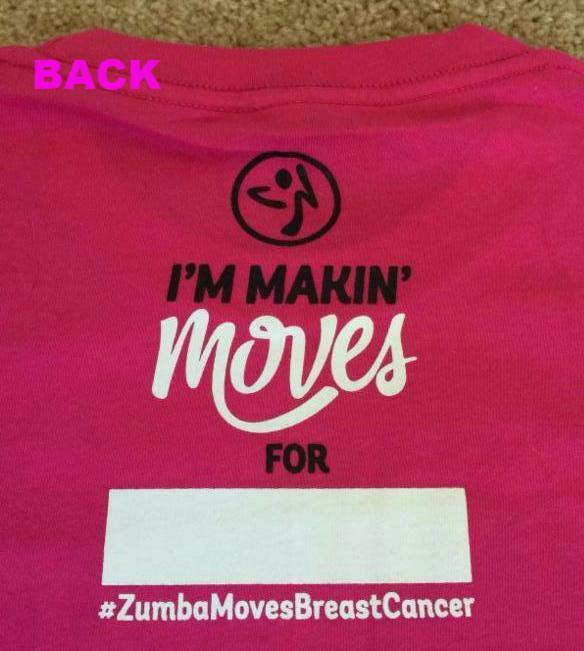 On March 8 – I’ll donate the profits from both Zumba and Zumba Gold classes as well as the profits from any merchandise sold that day. And to make it more fun, I’ll have a raffle in each class, too. One raffle ticket for each person who comes to class, additional tickets available for $1 each or 10 for $5. Click the link to buy online now, I’ll have them for you in class, but you MUST be present to win. Of course, you can also buy in person at class. 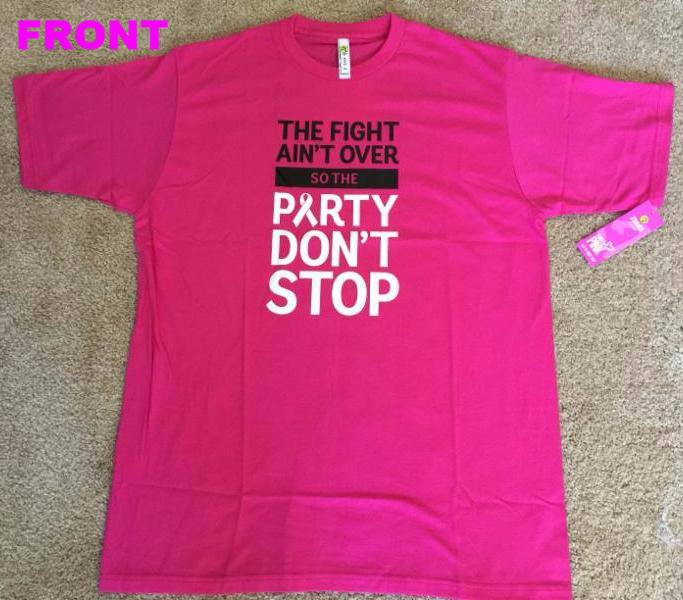 Lastly, I have just 7 super cute Zumba Breast Cancer t-shirts (one size). They’re $20 eachand 100% of that will go to our team total. Click here to buy one and I’ll have it for you the next time you come to class. Again, you may also buy in person but remember that I have a very limited quantity.